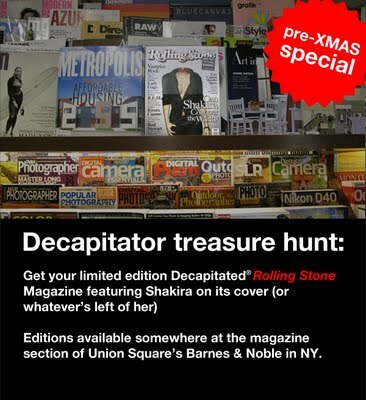 Decapitator was in town recently taking Shakira's head off of 10 limited edition Rolling Stone magazines at the Union Square Barnes & Nobles. I was on site the next day and managed to rummage through the entire magazine section until I found one of my own, even after the Village Voice made the hunt public. 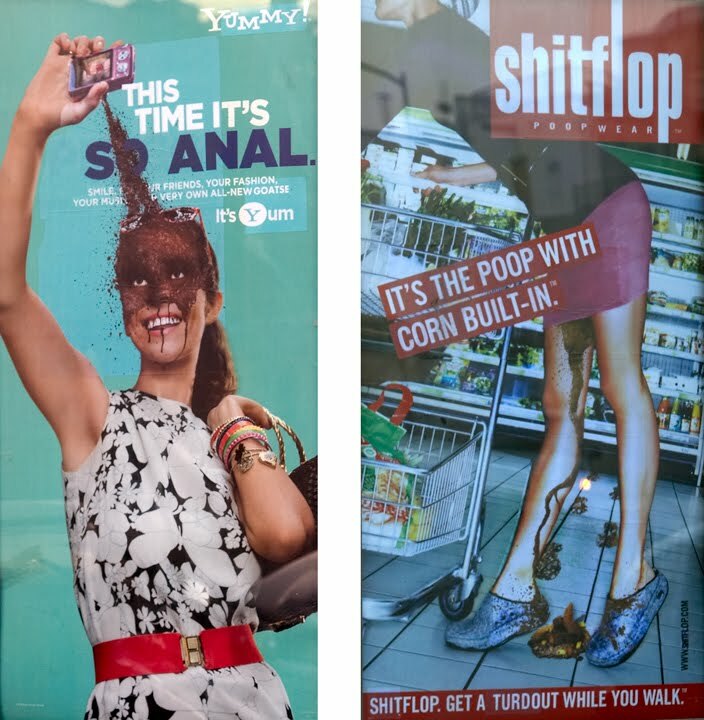 But this wasn't the only reason this artist was in town. Turns out the Decapitator had contacted PosterBoy before he came through and I met them at an undisclosed location to watch them create two collaborative pieces. 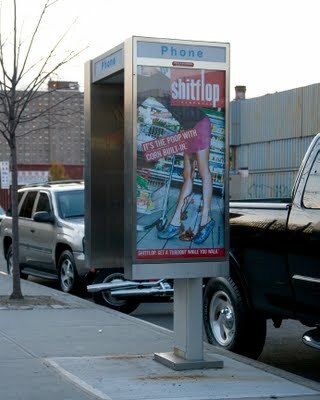 The two images were then installed somewhere in the Bushwick area. As for the imagery, it isn't really my cup of tea, but I do love the fact that these two artists' mutual disdain for the supremacy of commercial messages in our shared public spaces created a friendship that spans continents.